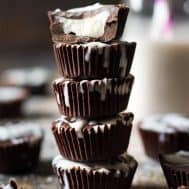 Rich, creamy and sweet Easy Chocolate Coconut Butter Cups that give you a healthy way to eat your chocolate candy! They’re Paleo, vegan, dairy free and refined sugar free. Fancy can still be yummy, that’s for sure, but typically fancy is just not so EASY. And sometimes (especially this time of year when we’re all feeling rushed) we want and NEED an easy treat. And let’s face it – sometimes I make these easy treats simply because I’m craving them myself! From day 1 of Paleo – or rather BEFORE I even discovered Paleo – I’ve been a fan of coconut butter. It saved me during the Whole30 and I have a fun time experimenting with it as an ingredient in baked goods and no-bake treats. 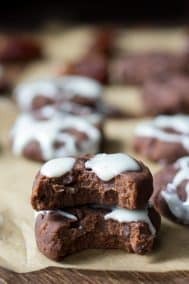 Have you tried my no-bake chocolate coconut butter cookies? Or no-bake apple cinnamon cookies? Or the soft coconut macadamia cookies I posted earlier this week? 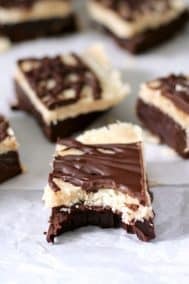 I’m convinced it’s the coconut butter in these recipes that makes them taste as dreamy as they do – the flavor and texture are over the top! Especially when paired with a bit of maple syrup. SO GOOD! 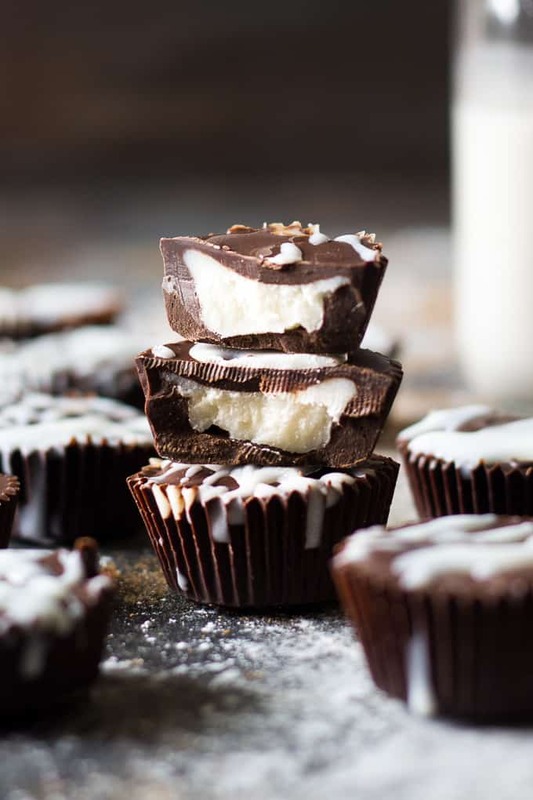 As for the cups – I used Enjoy Life Dark Chocolate Morsels, which melt perfectly with a bit of coconut oil – and swirled all the melty chocolate around mini muffin liners. Then, the coconut butter. 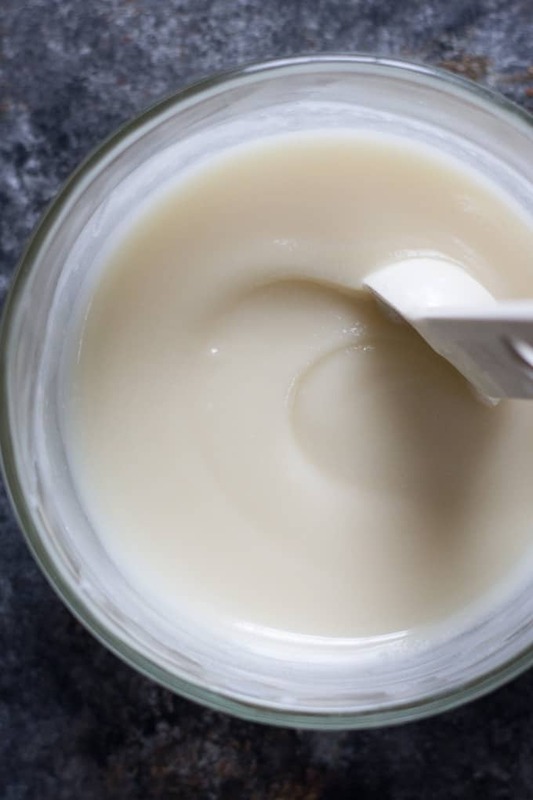 I’ll admit coconut butter might seem tricky (or sensitive) at first, since depending on the temperature it seems to be a totally different consistency. Once the maple is added, the coconut butter will firm up a bit – enough to be scooped over the chocolate cups. Then you simply finish them off with more chocolate, and chill for a few minutes until firm! 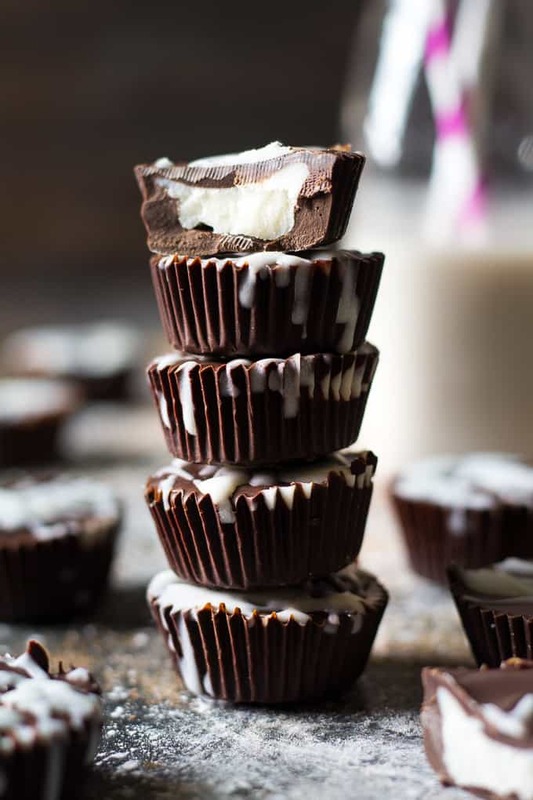 These coconut butter cups are actually solid at room temperature – as long as it’s not too warm – a plus if you’re bringing them to a party or serving to guests. That said, I still recommending storing them in the refrigerator and then taking them out to soften up a bit before serving. You can also drizzle the tops with more coconut butter/maple mixture and it will turn into a solid icing once chilled! Delicious! Easy 3 ingredient healthy chocolate coconut butter cups that are sweet, creamy and delicious yet free of refined sugar, Paleo and vegan! Healthy way to enjoy your chocolate candy! Your coconut butter needs to be melted and stirred until smooth. If it's solid (this depends on how warm it is in your house) melt in the microwave in 10 second intervals, stirring after each interval. If coconut butter gets too warm the texture becomes grainy, so be careful not to overheat. Once your coconut butter is melted, gently stir in the maple syrup. Do not heat again after adding the maple syrup - when you make the cups you want the coconut butter/maple to have firmed up just a bit so it stays in place. For the chocolate, melt your chocolate chips with the 1/2 tsp coconut oil in a small saucepan over very low heat, stirring continuously. Remove from heat immediately once smooth. 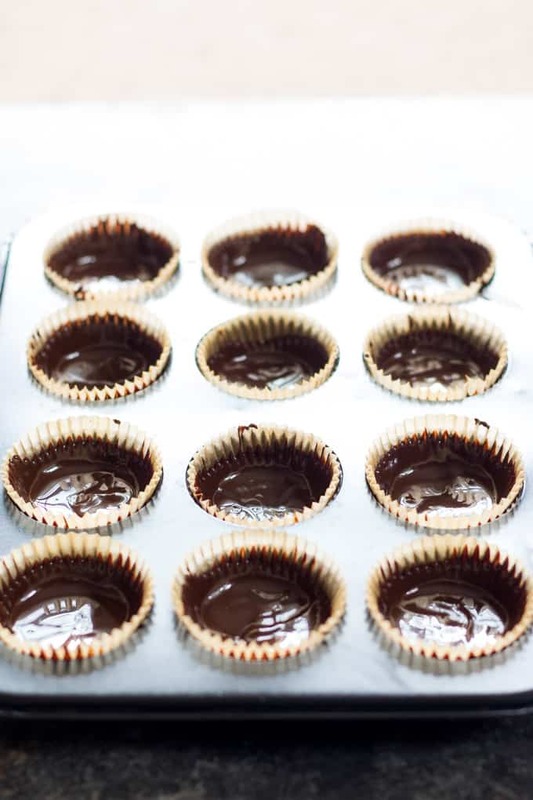 To assemble the coconut butter cups, line a mini muffin pan with parchment liners and swirl a small amount of the melted chocolate over the bottom and around the sides of each cup. I made 12 mini cups. Chill the chocolate for a couple of minutes until firm, then put a small scoop of the coconut butter mixture in each cup. The consistency of the coconut butter will now be "scoopable" rather than melted. Spoon more melted chocolate over the tops of each cup to fill almost to the top. If you need to gently re-melt the remaining chocolate, this is fine. Once all the coconut butter is covered, chill the cups until the chocolate is firm, about 10-15 minutes. Then serve! 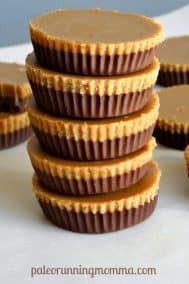 The coconut butter cups should be stored in the refrigerator, but they will be very hard when chilled, so you can let them sit at room temp for a while before serving without any risk of melting. Enjoy! 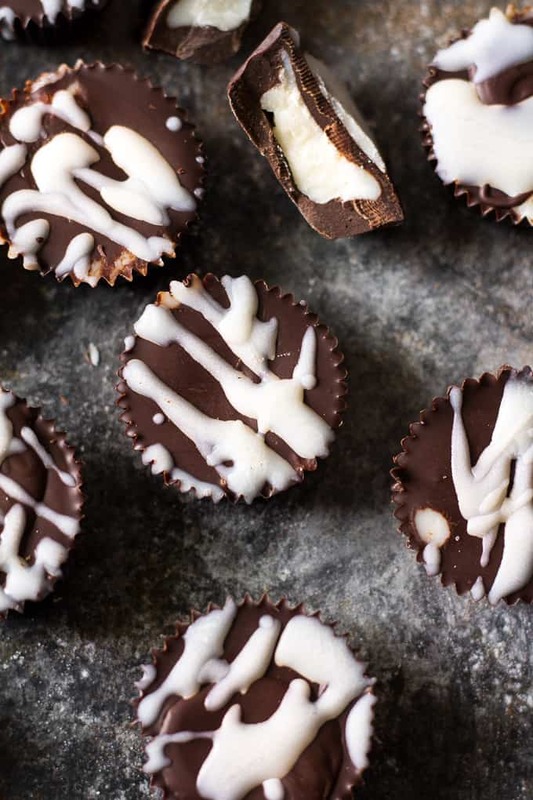 Want more Paleo and vegan chocolate recipes? Try one of these! What’s the best “fancy” dessert that you make? 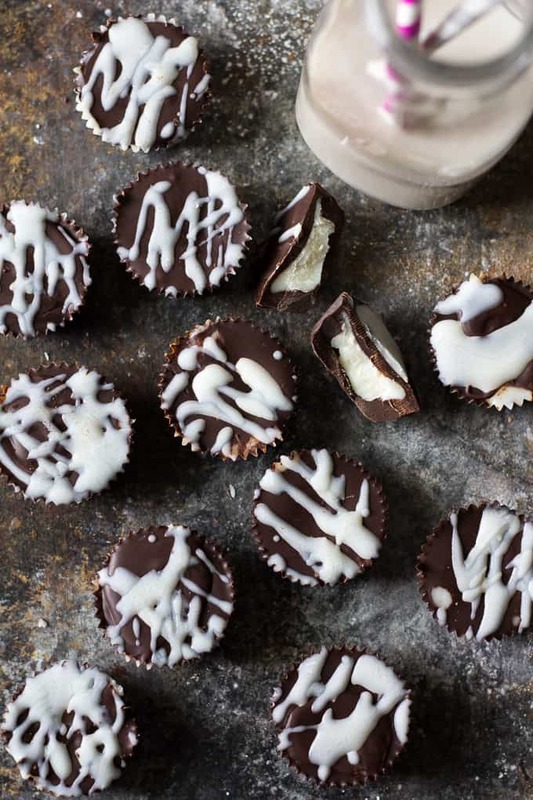 Oh, these coconut butter cups look beyond delicious! Have you tried Lily’s chocolate chips in any of your recipes? My husband is diabetic, so I try to make low sugar or sugar free sweets once in a while. I haven’t since I generally don’t avoid sugar entirely, but if you use these for any of my recipes and it works out, let me know! Thank you for your quick reply! If I use Lily’s sugar free chips, I will let you know. Since you used a mini cup pan for this… should I double the recipe to fill a normal sized 12 cup muffin pan? I would say at least double, perhaps triple the recipe to fill that pan. These are sooo yummy! But could I try adding some canned coconut milk to the coco butter to make the filling a bit gooey? Or would something else work better?